If you think about the stereotypical big-city internship, the image of a college-aged student fetching coffee may come to mind. 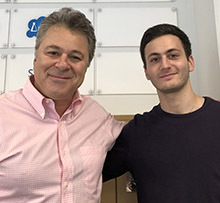 But that was definitely not the case for Armand Avetisian, who spent the summer of 2018 as a business development intern at EpiVax Oncology in New York City, where he worked side-by-side with the company’s CEO and Co-Founder, Gad Berdugo. Avetisian’s internship was made possible by the New York City Economic Development Corporation’s (NYCEDC) LifeSci NYC Internship program. The program is a core component of NYCEDC’s $500 million, 10-year LifeSci NYC initiative to accelerate growth of the life sciences industry and to create 16,000 new, good-paying jobs. The goal is to attract and prepare a diverse range of NYC students for careers in the life sciences sector and to ensure that it has a wealth of talent to fill the industry demand for high-quality jobs. It was the first official year for the program after running a successful pilot internship in 2017. Host companies ranged from early-stage startups to large pharmaceutical and biotech organizations, as well as other companies such as advertising agencies and public relations firms that serve the life sciences community. Doug Thiede, senior vice president of life sciences and healthcare at NYCEDC, explains that as the internship program evolves, it will create a community within the NYC life sciences ecosystem that will build on the previous year’s progress and experience. To help drive this evolution, NYCEDC held various business-type events prior, during, and after the internship program for participants to come together for networking and learning. The program is a win-win for the companies and interns involved, organizers believe. For Avetisian, who previously focused on the research side of the industry, it wasn’t just about helping make his skill set more well-rounded in today’s environment, but it also diversified his career options. 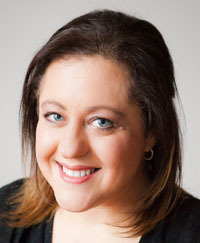 For the companies, particularly those such as EpiVax, which recently opened offices in NYC, the program allows them to explore the local resources. Interns can sometimes get a bad rap with upper management, but Berdugo encourages C-suite executives to work with younger, aspiring leaders, describing Avetisian as a quick learner, good communicator, intelligent, and having a positive attitude, all of which is essential when working in a start-up environment.